Ever found yourself in central London in desperate need of some chopstick related sustenance yet simultaneously crippled by the sheer choice? As well as traditional Cantonese, you can enjoy Sichuanese, Korean, Japanese, Malaysian and Mongolian food, to name a few, some boasting authentic bowlfuls of joy and many sadly not. There’s no doubt that all 78 restaurants in London’s chinatown are brimming with many fine (and many not so fine) choices to satisfy the fussiest of chopsticks. How to navigate your way through the tourist traps is another question entirely. So to avoid the Russian roulette of decent food, here’s a brief overview to ten of the best places. A Cantonese classic, the roast duck is legendary here (the FT voted it the best in the world ) but the other meats are also worth a try. Incredibly busy so be prepared to queue. The stuffed tofu is very good and they also have a great selection of bubble teas. There are two menus, forget the Malaysian, the Cantonese is the one to opt for. Proof that you don’t need to remortgage your home to eat well in central London. The stir fried chilli crab is top notch and the pork buns are also brilliant value. A pretty safe bet, Young Chen is a definite crowd-pleaser. It’s for good for authentic off menu dishes as well as the usual tourist fodder. The sesame balls with red bean paste here are consistently good, and a fried dough stick washed down with hot soy milk is a lovely way to start the day. Having said that, it’s best to avoid the restaurant side of Far East Cafe if you don’t want to be disappointed. This old timer is a great all rounder for old school Hong Kong style cooking. A solid, dependable stalwart. The only restaurant in the UK specialising in delicious spicy, sour Guizhou cooking. The two day marinated crispy spring chicken is a must. For pork lovers they also do authentic dishes of tripe, trotters and pork knuckle. 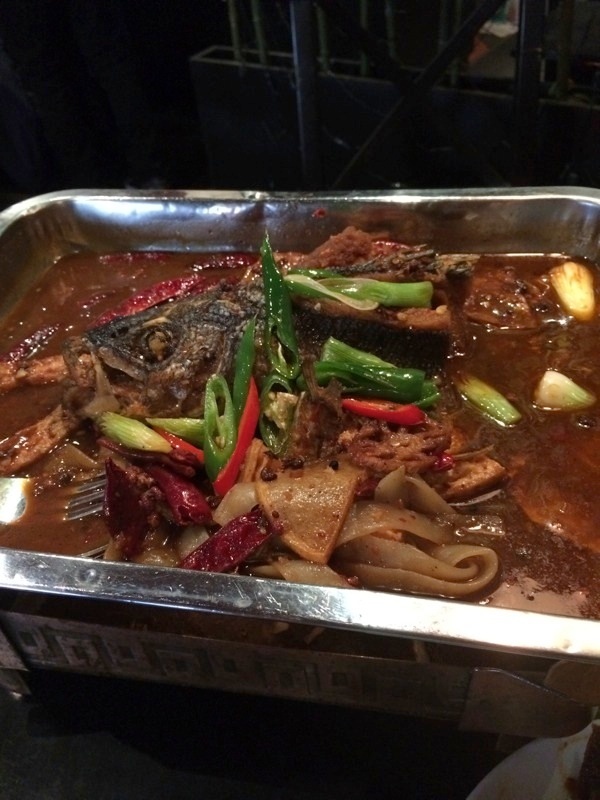 Tucked away on Newport court, Fuschia Dunlop is behind the scenes at this little Sichuanese gem, so you can expect authentic spicy specialities from the region. Dan dan noodles and the hot and sour soup are great, and the home made tofu and soy milk are worth a visit in their own right. Super cheap too. Cover Image Credit: Marilyn Peddle, flickr. Browse our deals for Chinese restaurants in London.